In Path of Exile, I wonder that what is your first league goal for Incursion? 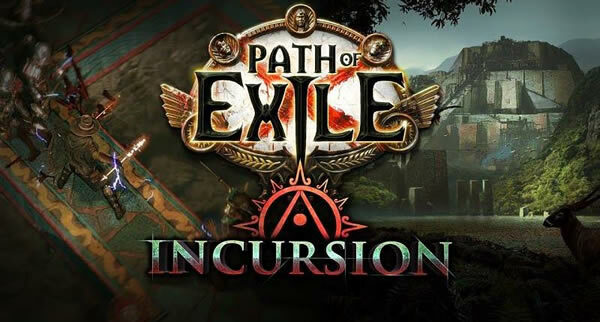 As for mine, explore Incursion League and see what it has to offer with creating my own temple, Kill Shaper/Uber Elder, get the 3 league items for the challenges. 1. First week of the league is gonna be off work for me. If I enjoy the league, I'll probably play some 50-70 hours during that first week, it's gonna be casual, slow, inefficient as hell and I'll have nothing to show for it. Except for having fun, playing at my own pace. 2. I'm going to assume that "figure out what kind of build I'm even going to make in the first place" falls under "play/test new builds." 3. I'll try my chances at getting lvl 100 this league. I'm only afraid of disconnect death, but i've managed to avoid losing character that way in last 2 leagues. Should be manageable. 4. Going for 40/40 on SSFbtw, if I get bored then switch to trade league and work my way up with the exalteds/lab enchants I got in SSF. I'm considering streaming the whole SSF process but i'm not sure how, need to do some research on the subject. 5. My tried and tested formula: Meander around doing a bit of all those (not getting to 100), get frustrated at the multilayer RNG in atlas progression/league challenges/lab trials/whatever, start bitching about things on reddit and the forums. 6. First goal: play a funny build that will get me to maps and let me farm them effortlessly. Keep amassing currency and exploring the temple. Second goal: fund a build to kill shaper. 7. I am really looking forward to try new builds. I probably still won't have time to play so I want to try builds I haven't played during the time I have. I want to play an infernal blow berserker; A chieftain trapper with the physical traps (if the pob works out); an occultist incinerator; finally a 2h kondors pride RT pure phys glad using double strike and vaal double strike. 8. Goal as always is to finish 40/40. Along the way I'll make an Uber Elder killer. I'm going to skip making a lab runner this time around. If there is another full set of league specific uniques with 3D art then I'll probably try to collect those as well. And what's your goal for Incursion League? Now building your first goal for it.